A pie crust made of cinnamon rolls? Yes!! 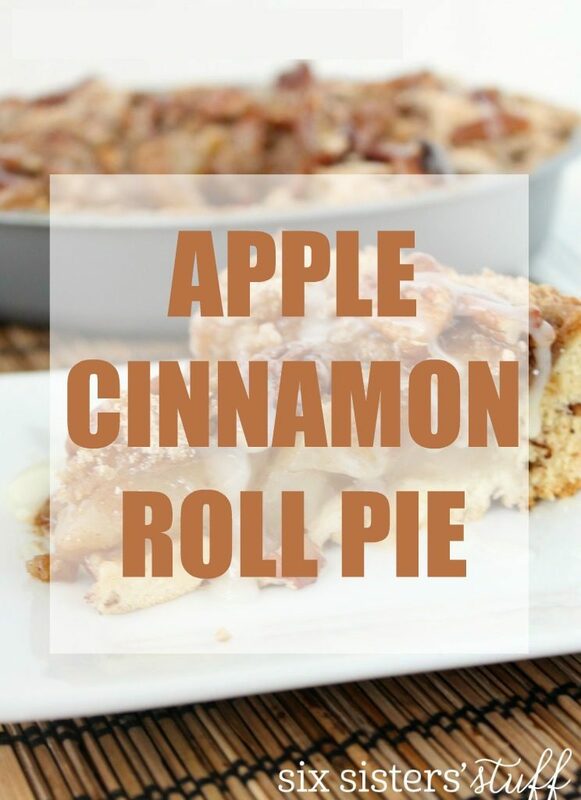 This Cinnamon Roll Apple Pie takes the tasty shortcut of using a can of apple pie filling and a roll of pre-made cinnamon roll dough as the crust. Do you love pie but hate the pie crust? This dessert will solve all of your problems! With one can of cinnamon rolls, you get the entire crust done without any extra work. Make sure not to forget to set aside the frosting to drizzle on top at the end of the recipe. We recommend getting the large cinnamon rolls for this recipe, so rolling out the pie crust is a little easier. You’ll want to bake your pie crust for 10 minutes before adding your filling, to ensure the crust cooks all the way through. If you have followed us for a while you know we love taking shortcuts, especially in baking. Using apple pie filling in this recipe saves tons of time, and assures a perfectly cooked apple filling each and every time. If you’re looking to make a homemade apple pie filling, our filling from The Best Dutch Apple Pie Recipe works perfect in this recipe. 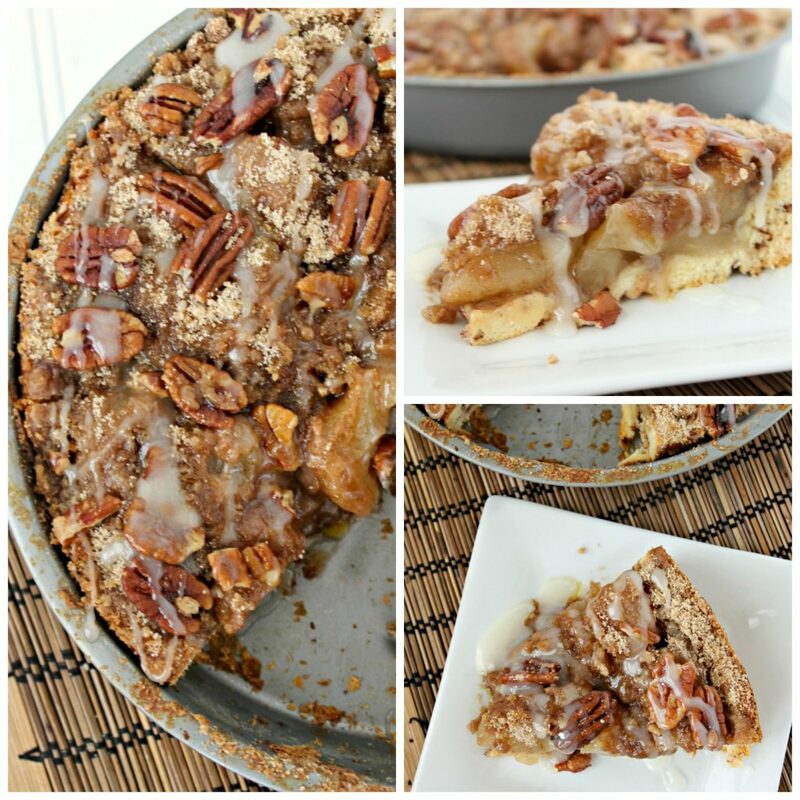 This apple pie with cinnamon roll crust has been around our family for a long time! We’ve learned a few secrets to guarantee a perfect Cinnamon Roll Apple Pie each and every time. Here are a few suggestions! Grab the big roll of cinnamon rolls. Using the larger rolls makes spreading them into the pan a lot easier and allows for a thicker crust. Make sure to use all the cinnamon rolls called for in the recipe to avoid the crust being too thin. Keeping the cinnamon rolls cold before you spread them out will keep them from getting too sticky. Don’t worry about getting the cinnamon rolls perfect on the bottom of your pan, remember that they will puff up when baked! If you decide to use fresh apples, cooking them slightly beforehand will help them soften up in the pie. We’d recommend heating them over the stove for a few minutes. Pecans are totally optional! We love this pie with and without them. We love to drizzle ours with caramel sauce before serving, it gives it a delicious caramel apple flavor. We can’t get enough delicious apple recipes. Here are a few of our favorite apple recipes! Heat oven to 375°F. Separate dough into 8 rolls. Spoon icing from can of rolls into small microwavable bowl; cover and refrigerate. In medium bowl, mix flour, brown sugar, and butter with fork until crumbly and set aside. In an ungreased 9-inch pie plate, place 1 roll in center; pat and press to stretch. Surround with remaining 7 rolls. Press seams of dough to cover entire bottom of pan and sides of the pan and seal. Brush on the beaten egg white and sprinkle on the cinnamon and sugar. Before serving, microwave icing you placed in the fridge on High for 10 seconds or until it is thin enough to drizzle. Drizzle back and forth over top of pie. In this video we’re making another one of our favorite apple recipes, Disney’s Copycat Caramel Apple Pie. The recipe calls for 2 teaspoons of cinnamon. The instructions have cinnamon in the streusel mix and on top of the egg white. How much cinnamon for each? Hi Karen. 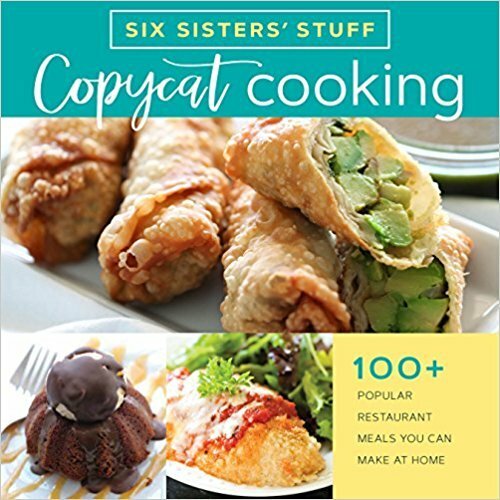 We went in and updated the recipe. Sorry about that. If you love cinnamon, you could add more to the streusel mix. The video shows apples, the recipe says apple pie filling. What's the instructions for using real apples? FWIW, I ignored the apple pie filling part and used 5 Granny Smith apples instead. Tossed the slices with 2 tbsp lemon juice, 1/2 cup sugar and 1/2 teaspoon cinnamon. Assembled as directed in the recipe. I baked the pie for 30 minutes -- the end result is still tasty, but the apples are crunchy and not at all cooked through. Anyone who wants to substitute fresh apples for the apple pie filling, I'd tell them to either cook the apples on the stovetop first until they're soft, then put them on the cinnamon roll crust, or else figure out how long to cook the assembled pie so that the apples are done.